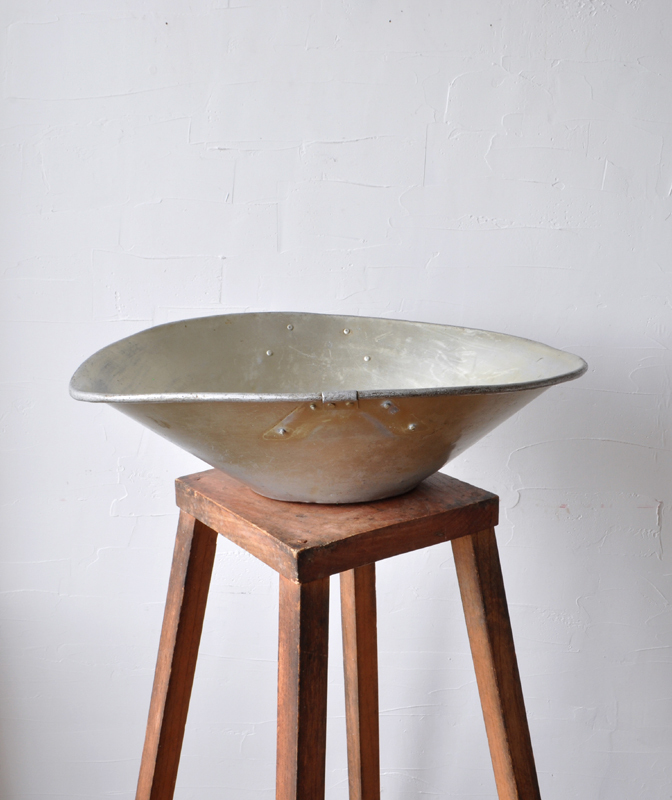 ALUMINUM TUB – Vintage equipment for Japanese rice shop (Dealer: hotoke antiques) – Well-used and matured aluminum tub/bucket as professional equipment for rice dealer/shop. Showa period, 20th century. Carved seal of ‘Made by Nameki Ryogu Co., Ltd.’ as a Tokyo-based company of equipment (specially weighing equipment) for rice grain.